Happy Saturday! It’s 15th, that means time for another Really Reasonable Challenge! We are doing some Spring themed project for today’s challenge to bring your bright and fun colors! I pulled out 2014 March Card Kit by Simon Says Stamp to create this fun card and used Tim Holtz Distress Markers to add colors to it. 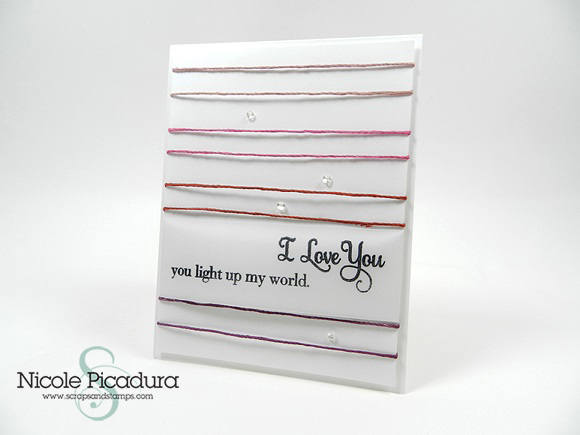 It may seem that it is hard to create this card, but it is super simple! 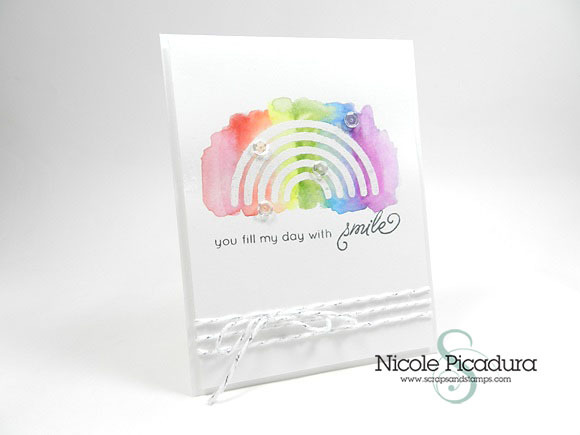 Used the rainbow stencil from the card kit and stamped it with Versa Mark Ink Pad, and heat embossed with White Embossing Power. Then, I took out colors of rainbow from the Distress Markers and used Aqua Painter to give watercoloring effect. That is all there’s to it! Thanks for stopping by, and I hope you have a great Saturday filled with smile! Happy Friday! Today I created a fun card for Sweet Stamp Shop and also entering a card challenge for Simon Monday Challenge for this week as a new episode for the Fresh Take Friday series. This week’s challenge was titled “D is for Distressing.” Let’s get inky! I will get into details about the background in a bit, but let’s check out the stamped images first. I took out one element from the Anatomy of Love Stamp Set to create this background images. Isn’t this cool? 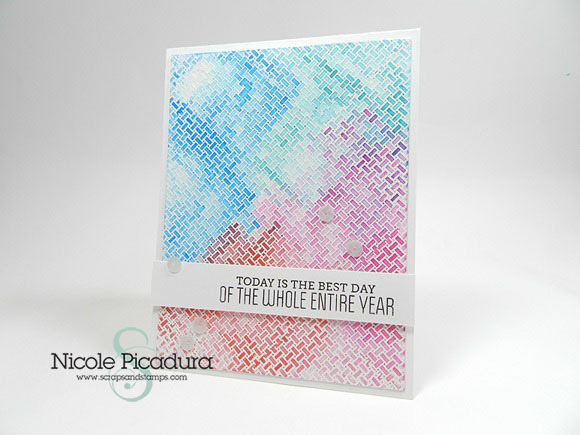 You can take out any element from a stamp set and elaborate in a different way to create a different look every time. 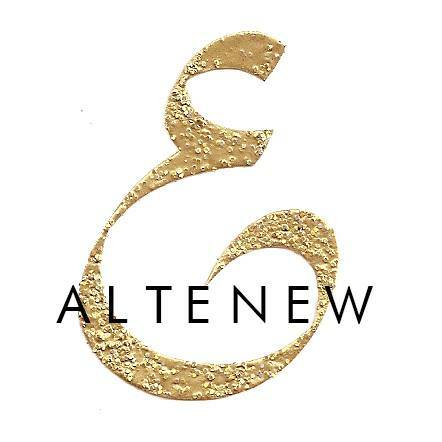 Use it for backgrounds, focal points, or as banner pieces on your card. 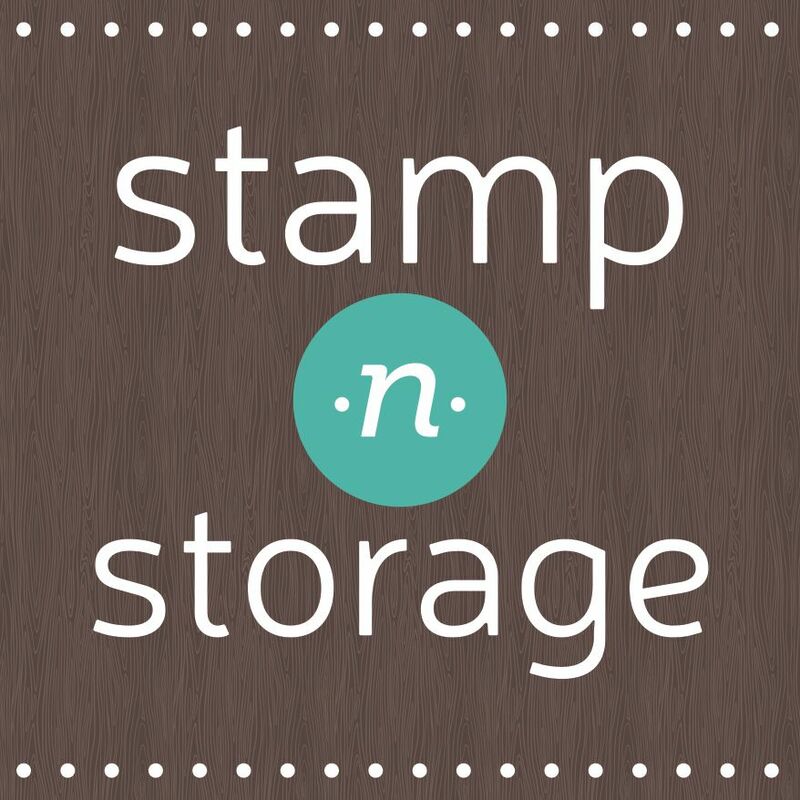 This is one of a greatest way to get more out of your stamp sets! Alright, so the background. 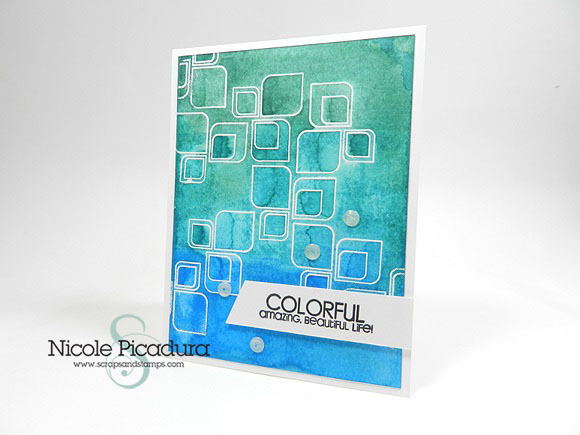 I used couple of Distress Ink Pads to create this cool water-color blended look for it. It is super easy. Heat embossed the stamped image with a white embossing powder and use Distress Ink Pads to add colors, and spray water on top of that to mix the colors. Another great way to stretch your stamps is to mix and match different sets. 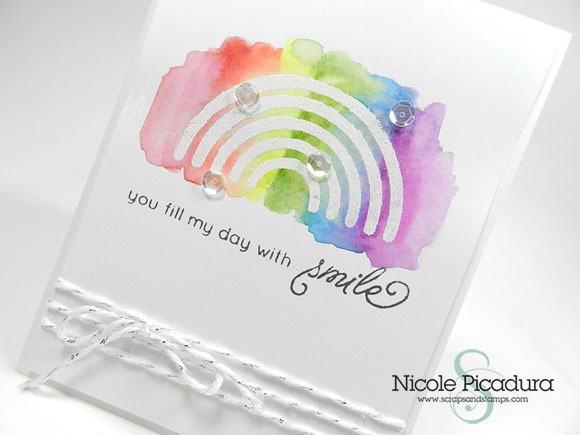 I used one of the greetings from the Color Wheel stamp set to finish the card. If one stamp set doesn’t have a greeting you want, reach for another one to complete your project. Maximize stamps to your benefits! We can never have enough stamp sets anyways, right? I hope you enjoyed the card today. If you want to follow along and get creative with me, watch the video and follow the steps, or, grab a cup of coco (or coffee), sit back, relax, and just enjoy the tutorial! Thanks for stopping by and hope you have a wonderful day! Hi guys! 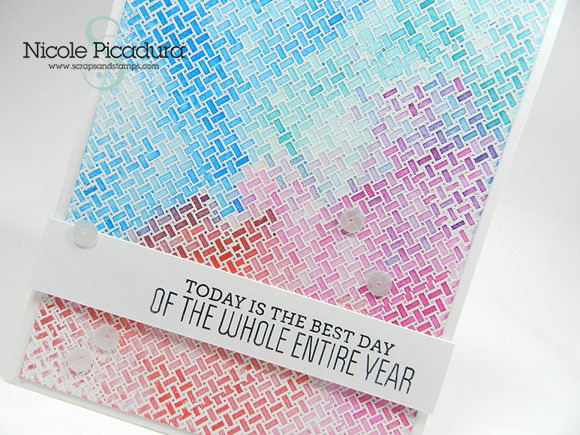 Today I am sharing a card using Ann Butler’s Checkered Woven Hearts Stamp Set from Ez-De’s. Ann has came up with an awesome concept of borderless stamp set so you can create all sorts of different kinds of designs for your projects. This was SUPER easy to use! Also, since it is clear, it’s easy to line it up to create continuous look. Don’t you think this is awesome? To create this fun background look, I have heat embossed the stamped background with white embossing power. Then, I went in with different colors of Distress Ink Pads and did a water-color resist technique. I love how versatile this Checkered Woven Hearts Stamp is and the possibilities are just endless! 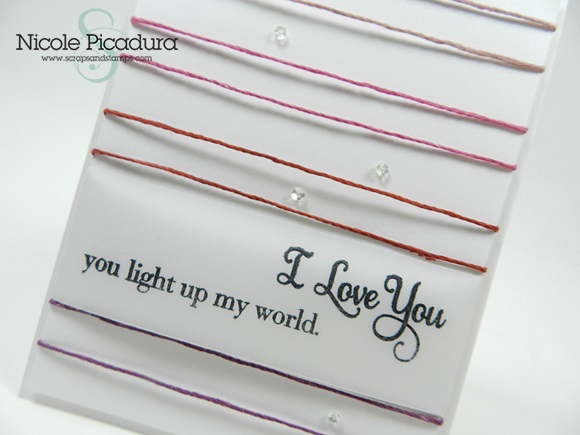 It also goes really well with any sentiment stamp sets you have on hand, so you can make from thank you cards to birthday cards to miss you cards and it is really up to you how you want to create different looks each time. I’ve added couple of white sequins to maintain the clean look of the card. I didn’t want to do too much with embellishments since I really wanted to highlight the background, which is the focal point of this project. I hope you enjoyed today’s card! Thank you so much for sharing some of your time with me. Have an awesome day! Happy Monday, guys! Yes, we don’t like Mondays, do we?? But I would like to be the one that brightens your Monday with a new card and a video. For those who is suffering from a Monday blues, *wink* *wink* I am going to cheer you up with this adorable card! I had so much fun play with a new stamp set I just got from Sweet Stamp Shop and few new sequins from Pretty Pink Posh. Both of them are my new favorites now. Water splashing technique has been my recent favorite and I can’t stop using it on multiple projects. This technique is not brand new and lots of people having been featuring it, but I love how it gives a nice background for cards every single time! This is a great technique to maximize your ink pads or markers. If you haven’t tried it yet, make sure to give it a chance and let it WOW you. 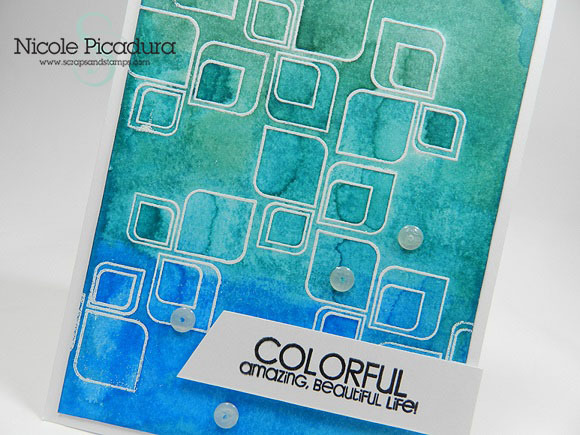 Here I used Hero Arts’ Pale Tomato and Passion Flower Ink Pads to create a subtle background. Don you just adore the hippo image I used here? 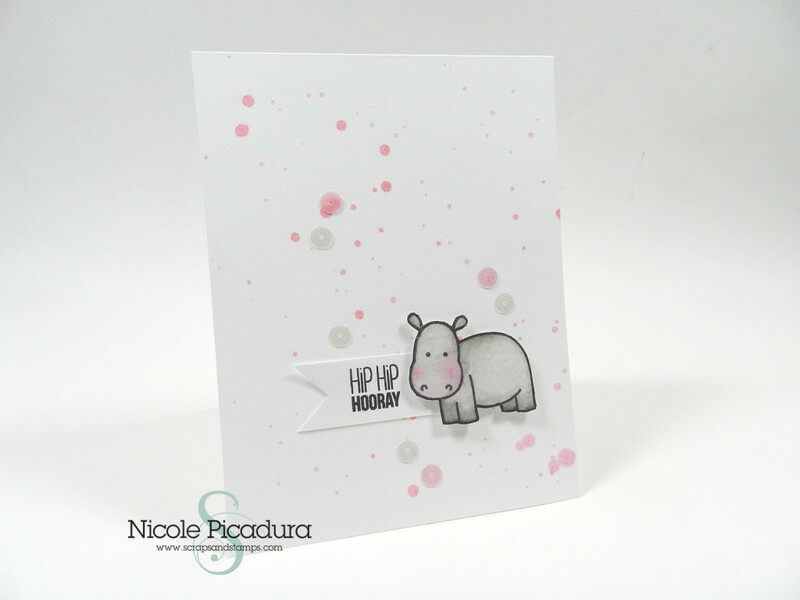 I used the Too Hip stamp set from Sweet Stamp Shop, this is one of the new release in February 2014. 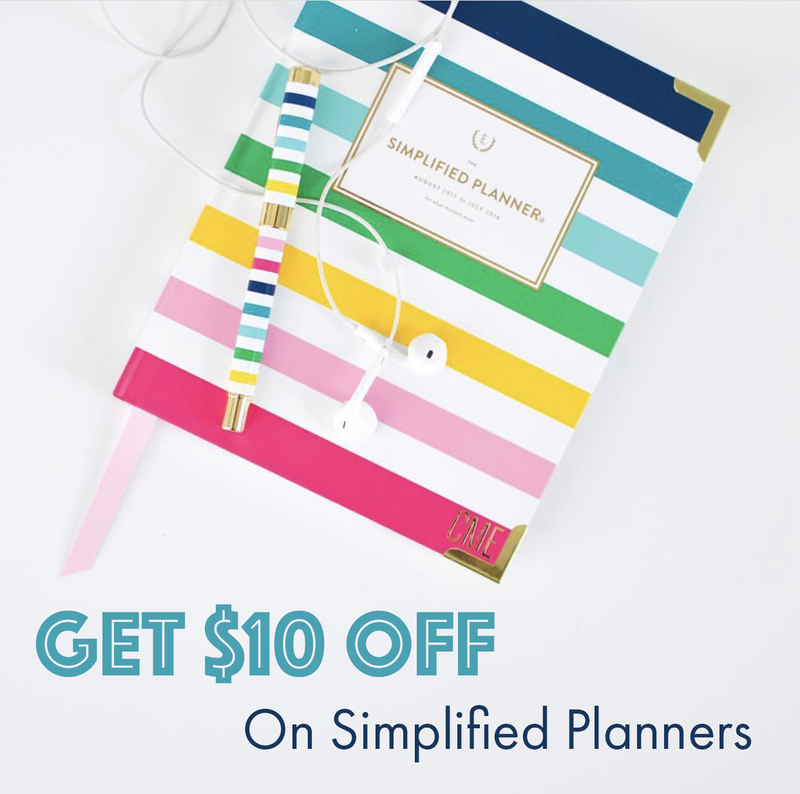 Nicole Rixon, the owner of SSS usually does pre-order on new release with discount codes on each month, so make sure to subscribe to their blog to get the latest and the greatest! (hint hint – March release is coming up shortly!) 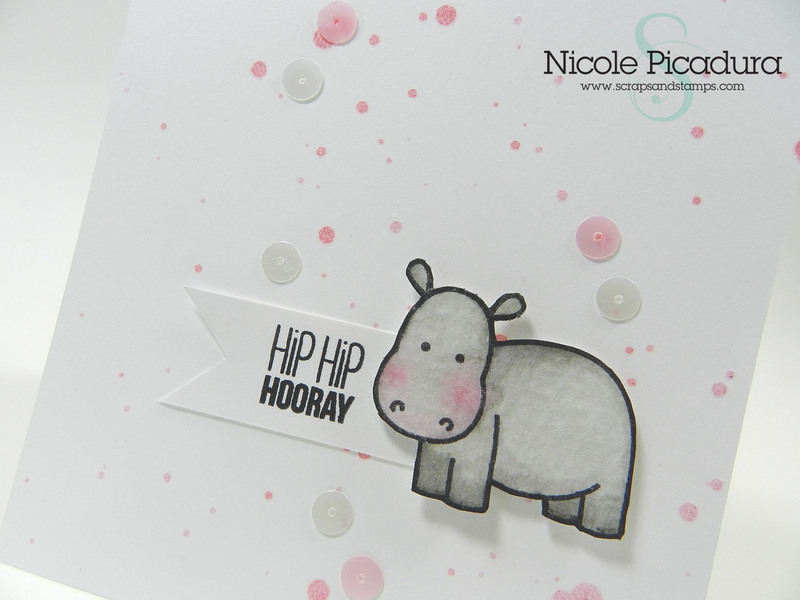 To color the hippo, I used Distress Marker by Tim Holtz and used Pumice Stone, Worn Lipstick, and Black Soot. You really need to check out the sequins and embellishments that Paulina carries on her Pretty Pink Posh shop. These are high-quality products and a great value. Let her know I sent you! I used Marshmallow and Pink Blush to match the color scheme of the card, they really add a nice interest and finishing touch. I hope you enjoy the video and make your Monday bright! Have an awesome week, I will be back tomorrow with a new product. Thanks for stopping by! Happy Friday! Today I am over at the Really Reasonable Ribbon Blog to share a lovely card made using some Bamboo Cords. RRR carries all different sorts of natural fiber trims and I have been collecting them here and there. This month I ordered few sets of different hemp cords and came across this Bamboo Cord Multi-weight Set so I got one of them as well. This has 4 different weights that fit all of your crafting needs and it comes in white. I thought it would be fun to create some colored ones to fit my Valentine’s day themed card, so I used some Distress Paints to inked them well. As you can see, you can pretty much create ANY colored bamboo cords! 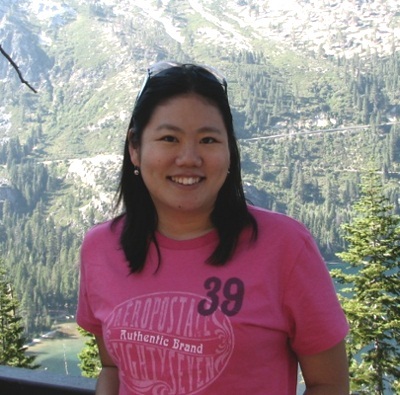 To see more details on how I did it, please head over to the RRR blog to read my in-dept post. Have a wonderful day! 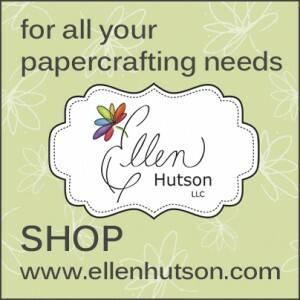 I am going back to my crafting studio to create more projects for next week!